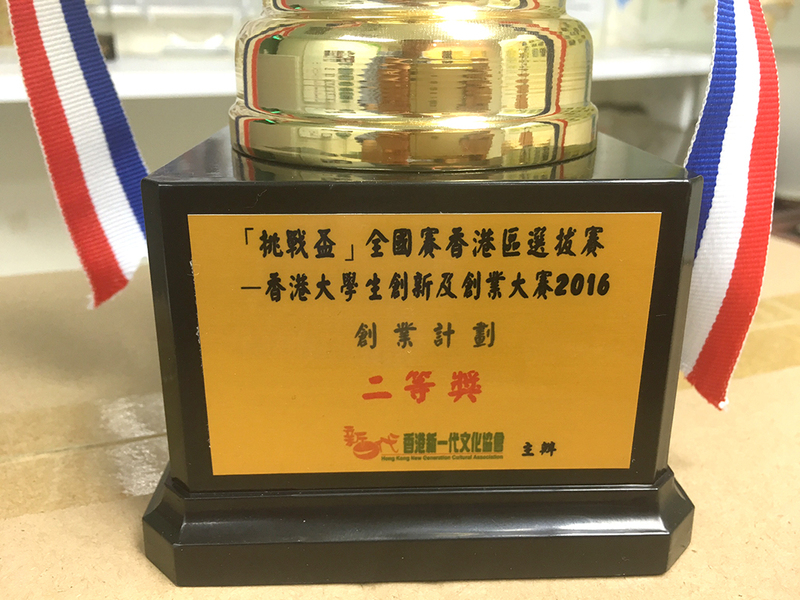 MSc Students Ms. Lin Rui Lamry (MSc EEE 2016) and Mr. Pan, Kangbom (MSc EEE 2016) had awarded the Second Prize in the National Challenge Cup 2016 – Innovation and Entrepreneurship (Hong Kong Section) for the M.Sc. 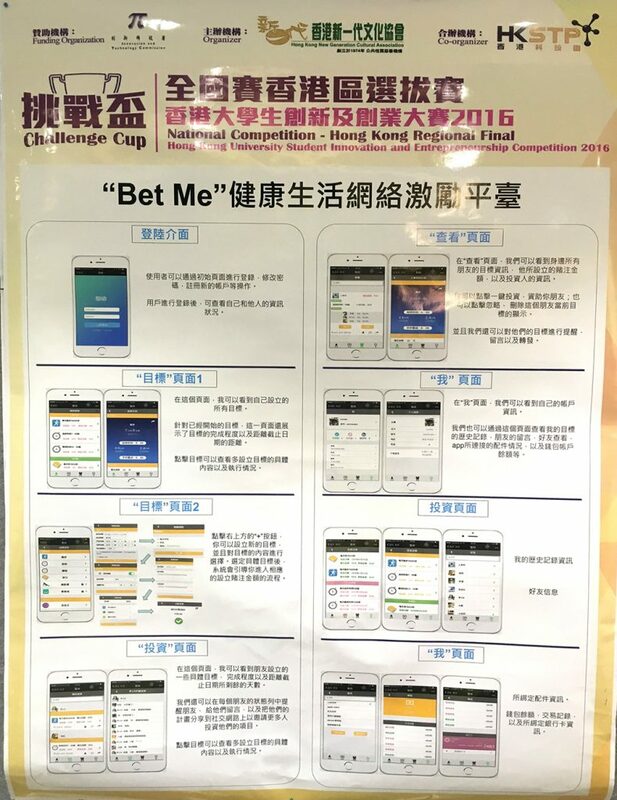 project titled “Bet me”. It is a mobile apps with social network element that encourage students to accomplish their goal with their peer support. 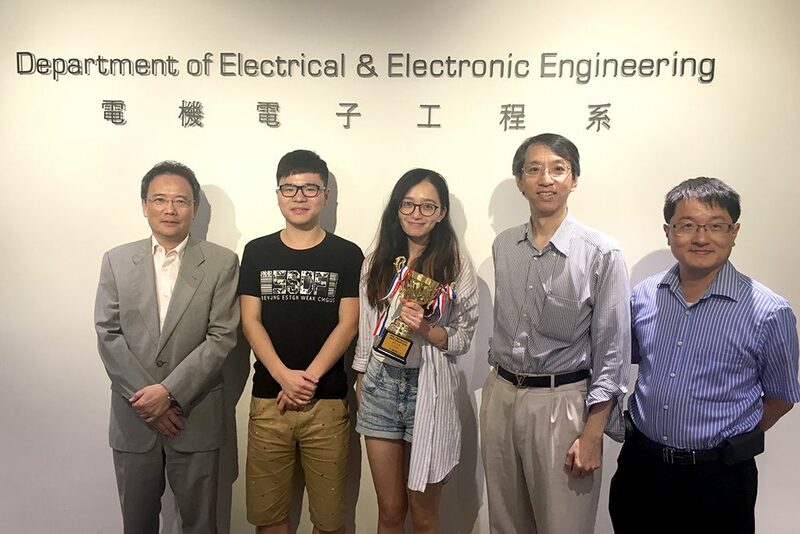 Ms. Lin and Mr. Pan will represent Hong Kong to participate in the National Challenge Cup in Chengdu in November and compete with over 300 other universities in China.